Category Archives for "Real Knights, Real Chivalry"
Somewhere between the “knight as saint” and “knight as sociopath” there lies a middle ground. 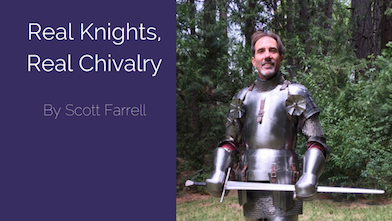 Common sense would seem to indicate that not all knights were brutal, predatory thugs — if they had been, Western culture would never have survived the Middle Ages. Nor is it reasonable to believe knights were all iconic, transcendental models of virtue and chastity — human nature hasn’t changed that much in the course of the past millennium. Be kind but don’t be gullible; be firm but also equitable; behave in an exemplary manner and expect those who serve you to do the same.